It was a lazy Saturday, the sun was shining, a slight breeze labored through the air, and my husband and I were driving through the south towns; going nowhere in particular. Sometimes it’s fun to go nowhere, because when you have no particular destination, one seems to find you. 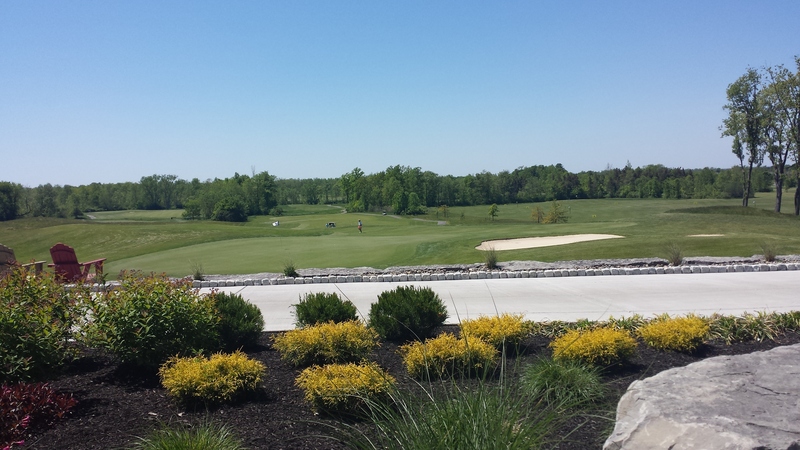 That’s exactly what happen when we came across Harvest Hill Golf Course in Orchard Park NY. Actually, I should say when “I” came across Harvest Hill. Unbeknownst to me, my husband had been there before, for lunch with colleagues. He preceded to fill me in on how wonderful the food is and that we should stop in. So we did. Two weeks later we were back again for lunch and two fabulous Bloody Mary’s. Rooth’s Sky-Lite is a 1,300 square foot club house Restaurant situated inside Harvest Hill’s unique dome like structure. With vaulted wood beam ceilings, a stone hallway connects the restaurant to the golf store located in the dome silo. The beautiful woodwork is carried throughout the structure and spills out onto the stone patio. Complete with pro shop pavilion, Rooth’s Sky-Lite looks out onto a manicured 18 hole golf course. My husband and I took our seats on the patio and perused the menu while watching a group of golfers putt a very complicated hole. Rooth’s menu offers a variety of options, including breakfast and finger foods. Bigger selections of salads, wraps and sandwiches, quesadillas, sides and burgers are also on the menu. For finger foods, the pretzel sticks with honey mustard ($ 6.95) and pizza logs ($5.95) are popular options among those on the course. A big hit among healthy eaters is the veggie burger ($8.95) stuffed with carrots, beans and herbs. It comes with lettuce, tomato, onion and cheese and offered up on a soft Costanzo roll. 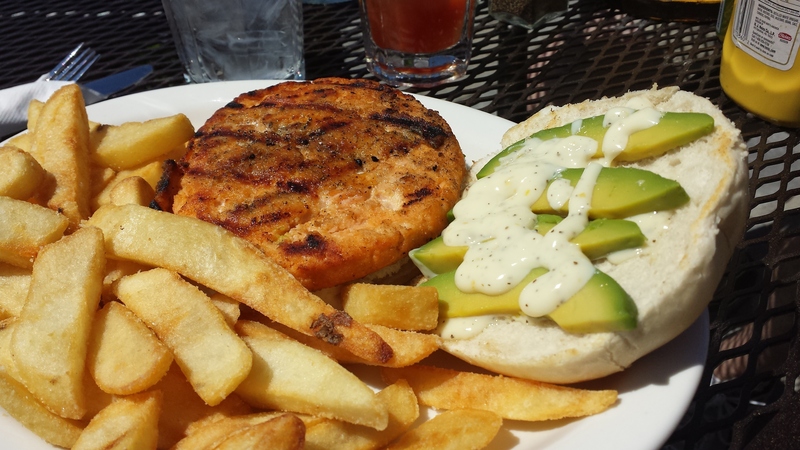 Another option for the health conscious is the turkey burger ($8.95). Low fat, ground turkey is lightly seasoned with aromatic summer herbs and served with lettuce, tomato and onion. All sandwiches are served with either french fries, sweet potato fries, onion rings, steak fries, or a dinner salad (for a $1.00 extra). My eyes immediately honed in on the Salmon Burger ($9.95). There was no way I could resist trying this sandwich once I saw two of my favorite foods married together…..Salmon and Avocado. Complete with lemon basil aioli and served on a fresh Costanzo roll, my first bite was euphoric. The salmon was fresh, lightly seasoned with salt and pepper and perfectly grilled, showcasing beautiful charred grill marks and tender meat on the inside. With every bite, I grew more and more excited. For someone who eats fairly healthy, I couldn’t have asked for a better burger. Steak fries aside, this meal is a refreshing spin on your typical burger. Once my plate was clean, I was able to sit back, spicy Bloody Mary in hand, and enjoy the lush green rolling hills laid out before me. Prices are middle of the road ($$) and the scenery is killer. 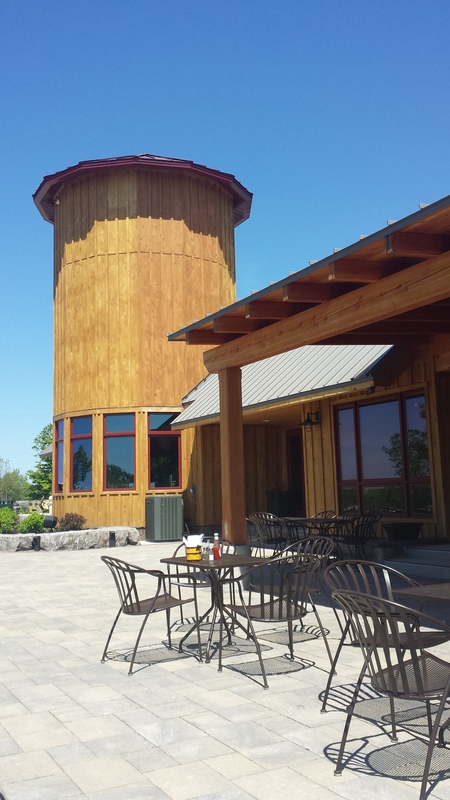 Whether there to golf or just enjoy the food, Harvest Hill’s Rooth’s Sky-Lite Restaurant is a great place to enjoy a lazy Saturday adventure.